Masina Hicks writes that one thing she was most thankful for was the chance to go to Berry. 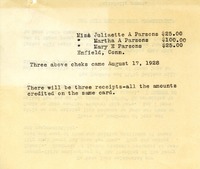 She then thanks Martha Berry for making it possible for her sister to stay at Berry in the fall. 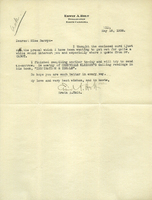 She ends the letter by expressing her hope that Martha Berry is in good health and wishes God's blessings on her. 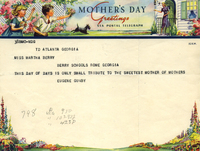 A mother's day telegram to Martha Berry from Eugene Gunby. 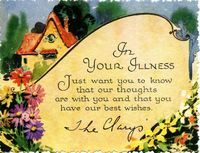 The card expresses thanks for an expression of sympathy. 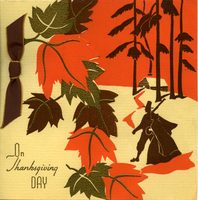 This card depicts a basket of flowers and says "With love, Martha & Virginia"